FOUNTAIN VALLEY, Calif., June 7 -- J.D. Power and Associates announced today that Hyundai is the highest ranked non-premium nameplate in the 2006 Initial Quality Study(SM) (IQS) and is ranked third among all nameplates. Hyundai owners had fewer problems with their vehicles than any other non-premium car or truck brand. In addition to Hyundai's strong overall showing, the Hyundai Tucson earned the trophy for the highest initial quality in the compact multi-activity vehicle (MAV) segment. Hyundai ranks among the top three nameplates in the study for the first time in the history of IQS, according to the 2006 Initial Quality Study issued by J.D. Power and Associates. Highlights include a top ranking for the Hyundai Tucson in the compact MAV segment, and top three segment performances for the redesigned Sonata and all-new Azera, as well as the Elantra and Tiburon. The IQS study measures 217 attributes, including the overall driving experience, engine and transmission, and a broad range of defect and design problems reported by vehicle owners. 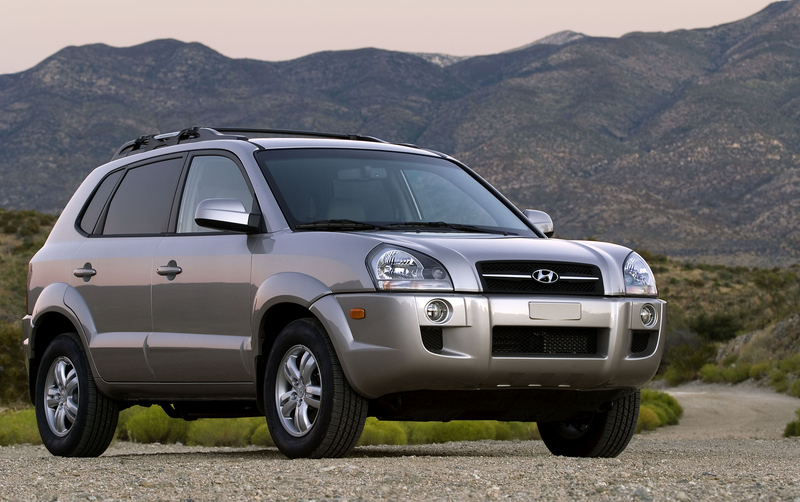 Hyundai has been steadily improving its non-premium nameplate ranking, ranking third in 2005, up from fourth the previous year. "Outperforming incredibly outstanding competitors at their own game for the first time in the same year is a major milestone for Hyundai," said Owen Koh, Hyundai's President and CEO. "This ranking demonstrates what tremendous strides we've made in quality, especially with an almost entirely new model lineup. Also very impressive is how well Sonata scored right out of the gate from our new assembly plant and workforce in Alabama." The Hyundai Sonata ranked third in the highly competitive midsize car segment. Hyundai Motor Manufacturing Alabama (HMMA), which produces the Sonata and Hyundai Santa Fe, finished tenth in plant quality out of 73 plants in North/South America. HMMA's North American plant introduction is among the best in the industry in the last decade. Hyundai Motor Manufacturing Alabama, headquartered in Montgomery, Ala., is an independent manufacturing operation of Hyundai Motor Company, based in Seoul, Korea. HMMA currently produces the Sonata sedan and Santa Fe crossover vehicle. At full capacity, HMMA will produce 300,000 vehicles annually.